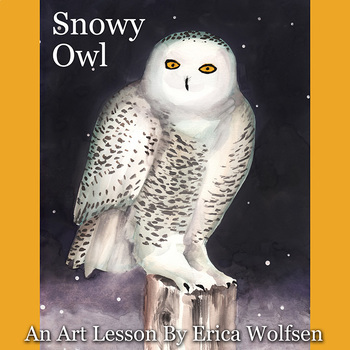 Learn to paint a snowy owl. 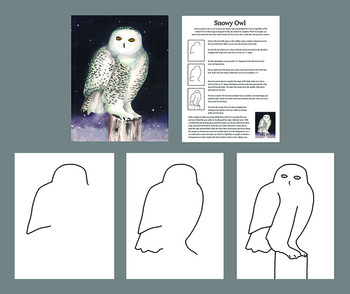 Lessons are step by step and designed for success regardless of the student's level. This image is designed to take 50 minutes to complete. While the sample was made with watercolor and some white acrylic, feel free to use other media like color pencil or marker.